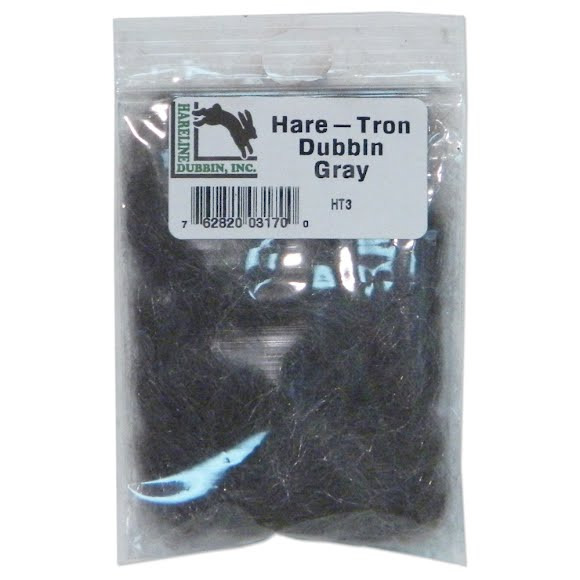 Hareline Dubbing's Hare-Tron Dubbln Grey is designed with rabbit hair with just the right amount of antron. Hare-tron is one of the most adaptable dubbing mixtures for tying trout flies. Hareline Dubbing&apos;s Hare-Tron Dubbln Grey is designed with rabbit hair with just the right amount of antron. Hare-tron is one of the most adaptable dubbing mixtures for tying trout flies.